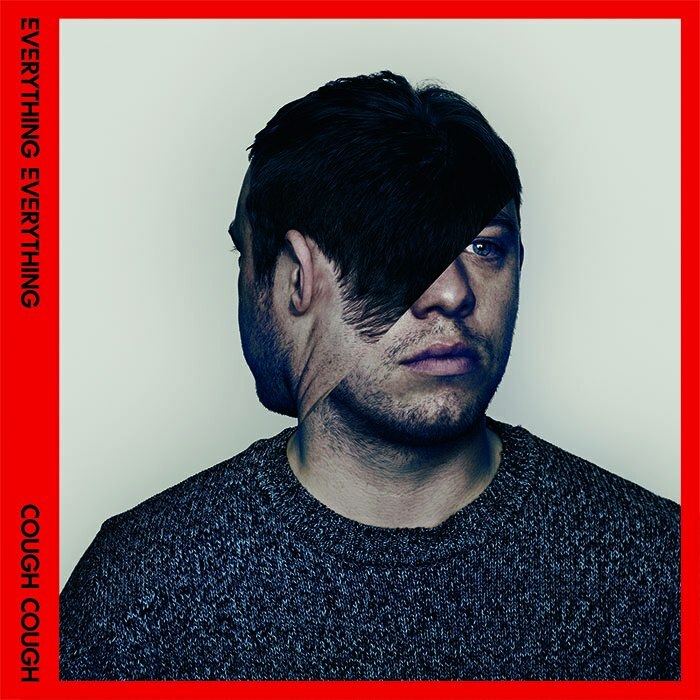 First aired on 28 August, ‘Cough Cough’ is the brand new single from Manchester-based alt-pop quartet, Everything Everything. The band’s brilliant debut album ‘Man Alive’ was released in 2010 and was short listed for the 2011 Mercury Prize. If U.S. metal outfit The Dillinger Escape Plan coined the term “mathcore”, then surely Everything Everything’s new single deserves the title for errr, “math-pop” (or something to that effect). Listen to the manic bass playing, off-kilter synths, jazz-like drum rhythms, noodle-y indie guitar lines, and vocal acrobatics on this track – it’s simply jaw dropping. However, given its complexity in musicianship, ‘Cough Cough’ is surprisingly easy to digest thanks to its straight-forward arrangement and abundant hooks. If you’ve not heard Everything Everything before the quartet sound like, well, themselves really. Due in part to the vocals of Jonathan Higgs, Everything Everything are a distinctive band with only Foals, The Cast of Cheers (check out the review of their recent album) and perhaps The Rapture, drawing any sort of comparison. If you liked ‘Man Alive’, you know what to expect here, only ‘Cough Cough’ somehow cranks up volume and doubles the energy. ‘Cough Cough’ is simply hyperactive! All of the energy is captured perfectly via a pristine production courtesy of Bat For Lashes collaborator David Kosten – just listen to the synth bass around 0:40 and 1:58, which threatens to burst through the speakers. If this single is anything to go their sophomore album ‘Arc’ will be an absolute gem. ‘Cough Cough’ will be released on 14 October, while the album ‘Arc’ will be released on 14 January 2013.